Doesn't matter if the fish are biting or not! This is the most action packed fishing adventure you can possibly have on Tampa Bay. It doesn’t matter what the weather is like, what the tide is like, whether the fish are biting or not — bowfishing always has constant action! We can shoot mullet, sheephead, flounder, black drum, sting rays, and many more species of fish. 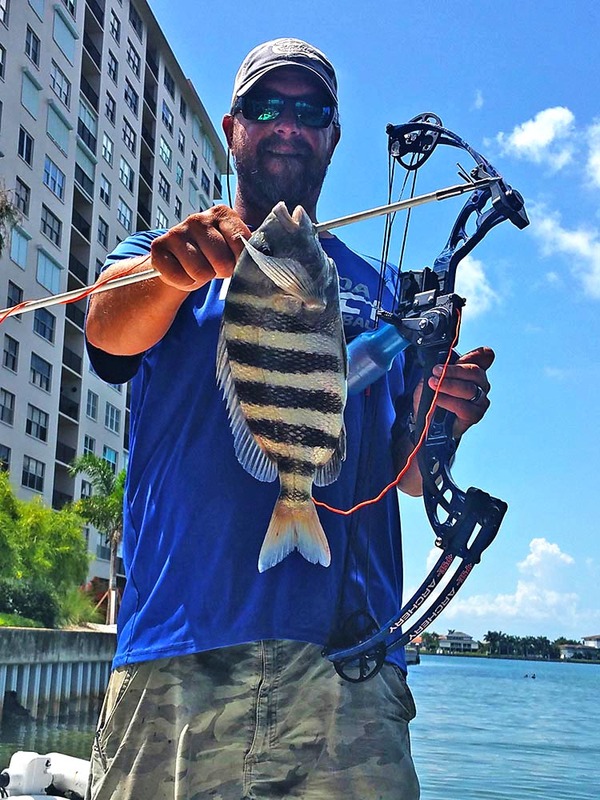 Bowfishing is quickly becoming one of the most popular, on the water, fishing adventures in Tampa Bay. Capt. Rick has been bowfishing for many years and he has the equipment and the spots to put you in some fast paced bowfishing opportunities! Book your next fishing adventure today! Get your kids hooked on fishing by sending them to Florida Fantasy Fishing Camp this summer! Learn how to tie lines, catch bait, cast a rod & reel, and go fishing with the pros!